Based largely on the works of Dr. Norman Geisler, this collection now includes The Apologetics Study Bible. Introduction to Philosophyprovides a Christian perspective on the study and history of philosophy. It answers questions such as what is philosophy, why should it be studied, and what is its practical impact. The authors, Norman Geisler and Paul Feinberg show that philosophy should be valued, in and of itself, and that Christianity can stand up to the rigors of philosophy, and should be seen as a philosophically valid worldview. The five major sections of the book answer the questions What is philosophy?, What is knowledge?, What is reality?, What is the ultimate?, and What is good or right?. Also, the structure of the book allows you to easily jump to any topic in the book and study without reading previous sections of the book. If you're teaching an apologetics or systematic theology class, or just want to increase your own knowledge in these areas, you will appreciate the up-to-date information and argument and counterargument approach of Introduction to Philosophy. This thoroughly-researched content presents a systematic approach to the doctrinal issues of revelation, God, human beings, Christ, salvation, the Church, ethics, and the apocalypse. Throughout, the authors draw out the sources of historic Christian orthodoxy as found in thinkers like Augustine, Thomas Aquinas, and others. 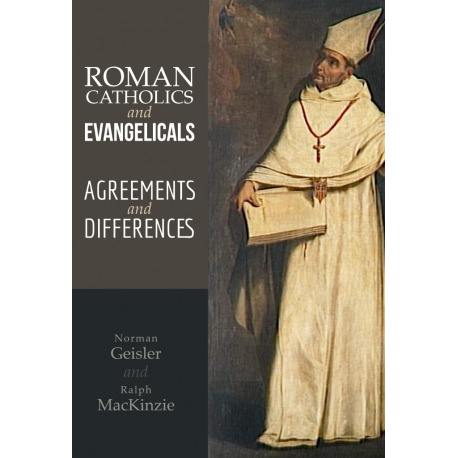 This retrieval of the tradition allows them not only to find lines of doctrinal convergence between evangelicals and Catholics, but also, in effect, demonstrates that evangelical orthodoxy is dependent upon the historic Catholic tradition. Differences on doctrines such as the Apocrypha, Scripture, infallibility, justification, sacramentalism, various aspects of the nature of the Church (visibility, unity, priestly authority, constituency), Mariology, and purgatory are by no means minimized. The approach is to clearly set out and compare doctrinal content from the most accurate source material, ancient and current. With In Roman Catholics and Evangelicals: Agreements and Differences, you get a lot more than a volume designed to refute Catholicism.